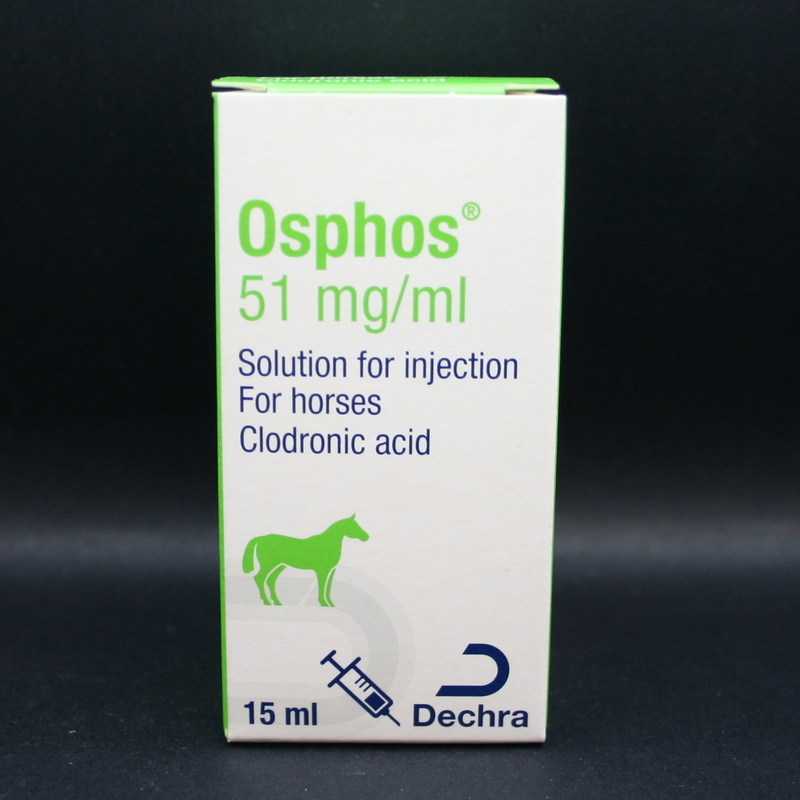 Osphos 51 mg/ml Solution for Horses. 15ml. 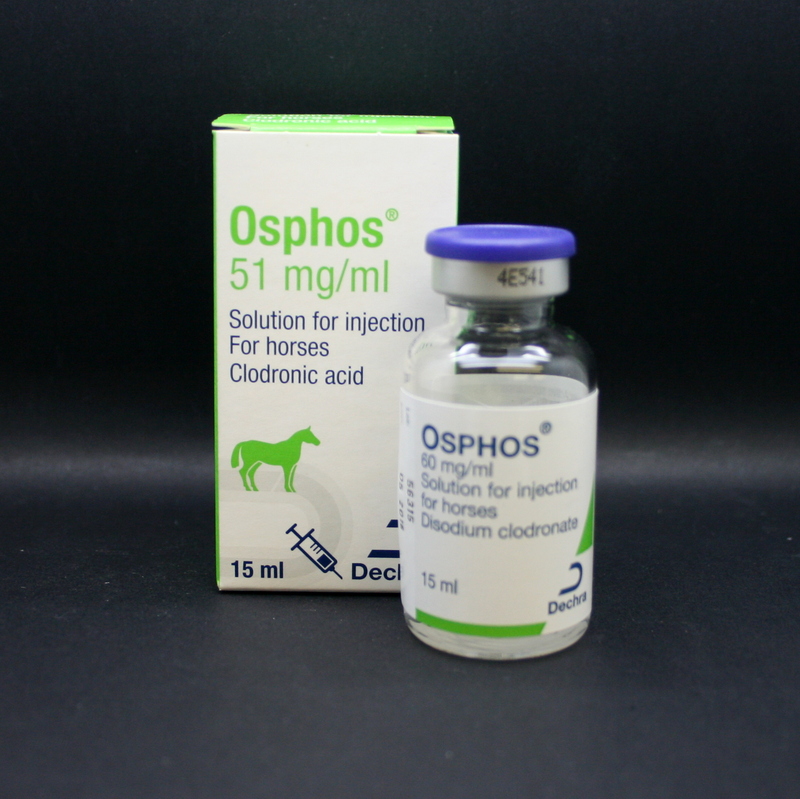 Osphos Solution is given by intramuscular injection to treat lameness caused by Navicular Syndrome. 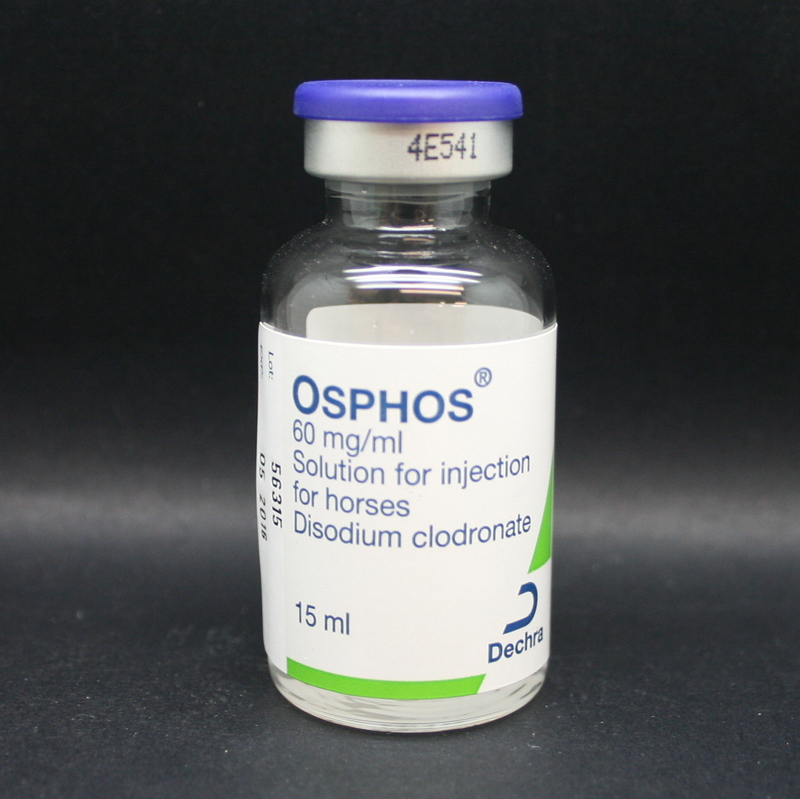 Its active ingredient Clodronic acid, regulates bone remodelling where there is excessive bone resorption caused by osteoclasts, a type of cell in the bone that absorbs bone tissue, a major problem in Navicular Syndrome. Warnings & Contraindications- Do not give intravenously. 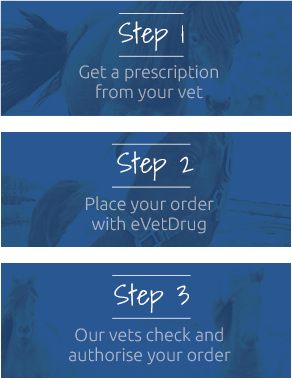 Do not give to horses under four years old or who have reduced renal function or who are allergic to Clodronic acid. Avoid self-injection, if it occurs, seek medical attention.